We are the topmost company in the field of manufacture, supply, export and trade of Fire Fighting Gloves. Providing excellent comfort, these Fire Fighting Gloves also provide adequate safety to the Fire Fighting professionals. Made with high quality material, these gloves are skin friendly and provide easy circulation of air. 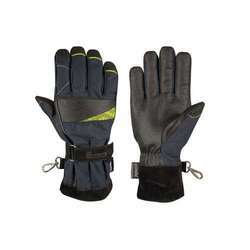 Apart from this, these gloves are available in myriad of specifications to suit the requirement of different customers. 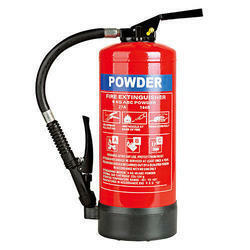 We are the leading and prominent Manufacturer, Wholesaler and Retailer of Dry Powder Fire Extinguishers. 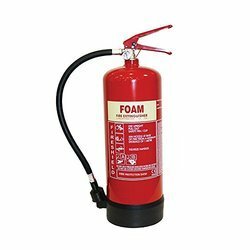 We are leading manufacturer and supplier of Foam Fire Extinguisher. Our organization is highly appreciated by the clients for offering Alarm and Panel. The high-grade raw material is sourced from the reliable vendors of the market to manufacture these alarms and panels as per the set industry standards and norms. 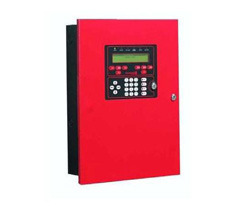 Owing to their reliable performance, these alarms and panels are widely demanded by the clients. We provide different specifications and sizes on request. We are into offering quality assured multi utility Hose Box. These boxes are offered in various sizes, material and other specifications to meet the diverse requirements of our clients. 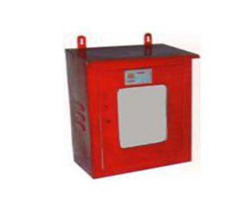 Our offered boxes help in providing better fire fighting capabilities to the controllers. We also test these boxes on various parameters so as to ensure their hassle-free working. 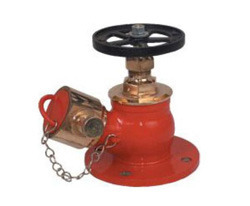 In order to cater to the variegated requirements of our clients, we are engaged in offering superior quality Hydrant Valve. 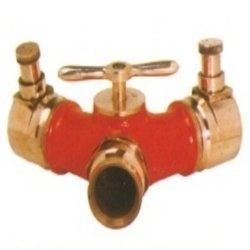 These valves are manufactured as per the security and quality norms using superior quality raw material. Our offered valves are used in chemical, refineries, petrochemicals & fertilizer plants and pharmaceuticals industries. Clients can avail these valves in gun metal as well as in stainless steel. Our organization is engaged in serving our clients with superior quality portable Breeches and Adapter. We manufacture these adapters using superior quality raw material, which is sourced from the reliable vendors of the market. 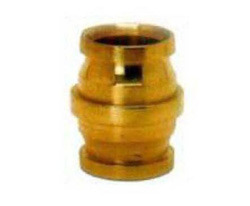 Owing to their reliable performance, these adapters are widely demanded by the clients. We have established ourselves as a renowned organization engaged in offering Fire Brigade Connection. Manufactured using superior quality raw material, these connections are appreciated for cutting edge quality features. 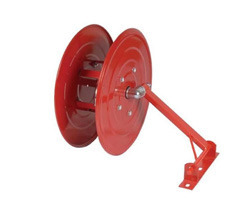 Owing to their multiple connections, easy usage and high efficiency, these connection are widely used by fire brigade. 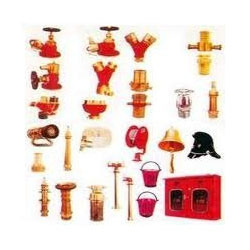 We are one of the prominent organizations engaged in offering superior quality Fire Sprinkler. 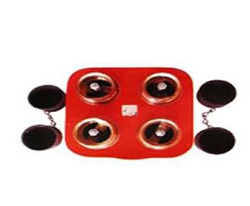 These fire protection systems are manufactured as per the set industry standards and norms using superior quality raw material and advanced machines. 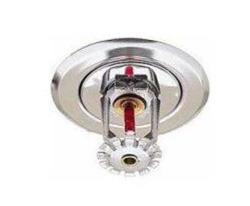 Moreover, these sprinklers are used for domestic and commercial buildings for providing water supply during fire. Our company is widely acclaimed in the manufacture, supply, export and trade of Dividing Breeches. These are constructed by G.M., SS304, Aluminum. These dividing breeches are highly used in fire fighting operations. These are available in different ranges to suit the need and requirement of various customers. Last but not the least these are fabricated by high grade quality material which is procured by our most reliable vendors. 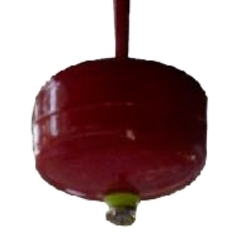 We are leading manufacturer and Supplier of Fire Fighting Accessories.